Note that this Policy applies only with respect to the information collected by inapikle.com and not any information collected or obtained through other methods or sources. Public information will include that information available for registered members to view, or demographic information. This includes your demographic information such as gender, name, age, birth date, purchase history information, browsing history information, appearance, zip code and geographical location or any other information deemed necessary by “In A Pikle”. When you register on the “In A Pikle” site, you will automatically be registered to receive promotional offers and updates, via e-mails, from thebodyevolution.com, puremusclepower.com and purewillpower.com and from the Network Sites and other associated e-mail brands. Additionally, you may be provided with the opportunity to receive promotional offers, via e-mails, from partners of inapikle.com. While some of these opportunities will only be sent to you if you expressly request them, others may be sent to you unless you elect not to receive them. Accordingly, please review these offers carefully. At any time, you may choose not to receive promotional e-mails from inapikle.com or partners of inapikle.com by following the “unsubscribe” instructions in the applicable e-mail. Notwithstanding the foregoing, “In A Pikle” may continue to contact customer for the purpose of facilitating, completing or confirming any transaction and/or inquiry. Unless otherwise noted, the Site, inapikle.com e-mails and the content available in connection therewith, are neither intended for, nor directed to, children under the age of 18. Except as otherwise noted. 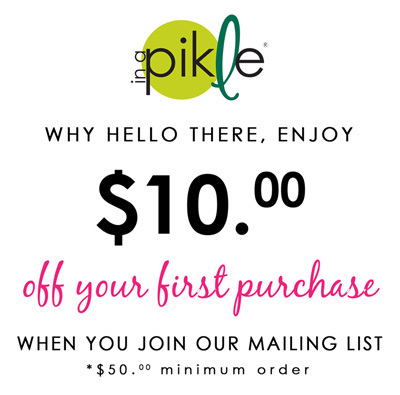 “In A Pikle” – inapikle.com may, from time to time, amend this Policy, in whole or part, in its sole discretion. Any changes to this Policy will be effective immediately upon the posting of the revised policy on the Site.